We chose this hotel because of its proximity to SM Mall of Asia. We booked our stay via their website, which offered a better deal than other hotel booking sites. We were leaving early the next day so I was glad to see that there was a cheaper price for the room if you are not having breakfast. Check-in was a breeze so we got to our room right away. 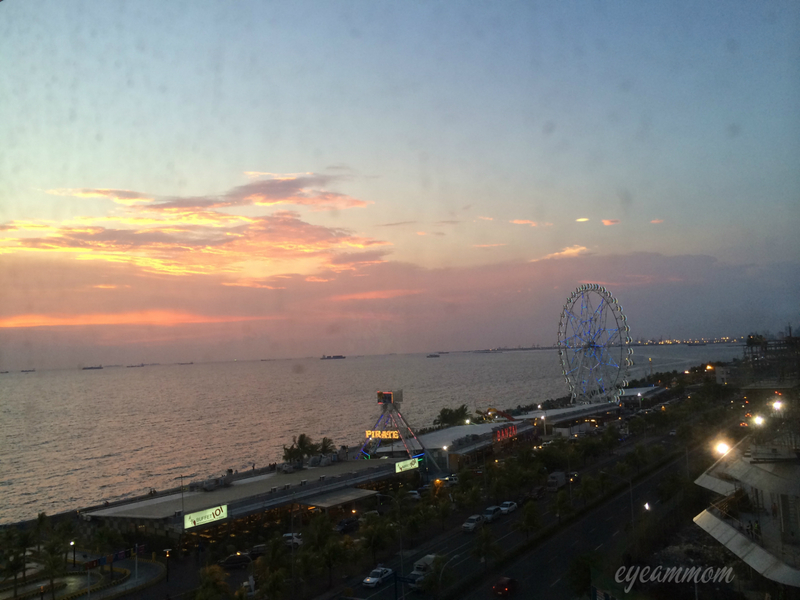 It was a basic, no-frills room, but it had 2 queen beds and a lovely view of Manila Bay. The airconditioning worked well and the beds were comfortable. They did not offer complimentary bottled water but there was a water dispenser in every floor. The hotel was very busy when we were there, lots of people coming and going. But the elevator was fast and quiet so there was hardly any wait. The mall is a leisurely walk away but if you don’t feel like walking, the hotel provides a free shuttle to and from MOA hourly. The only downside I saw was the placement of the toilet paper. It was placed on the wall across the toilet, making it difficult to reach for children and not-so-tall people. This entry was posted in Life in the Metro and tagged hotels near Mall of Asia, hotels near MOA, Microtel Inn & Suites by Wyndham Manila. Bookmark the permalink.